The neck and shoulders are intertwined with bones, muscles, nerves, arteries, veins, and supporting tissue. 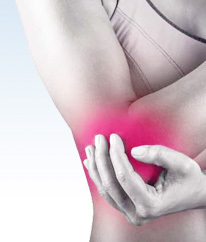 Certain injuries and illnesses can cause pain and discomfort in the shoulder and neck area. 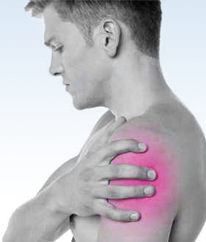 Most shoulder and neck pain occurs due to an injury to the muscles, soft tissues, ligaments, or tendons in that region. This can happen from whiplash or a direct blow to the area. Degenerative arthritis in back of the neck can pinch nerves and cause pain in the shoulders and neck. Abnormalities of the heart, lungs, spinal cord and certain abdominal organs can also cause discomfort to the shoulders and neck. Some of these abnormalities can be caused by injuries. An example of this is a broken collar bone. The collar bone can break if the arm receives a direct blow during a fall. This is a fairly common injury among athletes. People who have discomfort in the neck and shoulders sometimes describe the pain as burning, or stabbing. In some cases, the pain causes stiffness in the neck and shoulder area. It can also cause a loss of range of motion. Injuries to the shoulder and neck can cause swelling. The swelling can occur along the entire arm or it may be confined to the injured area. 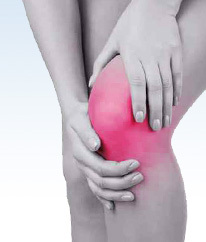 Muscle spasms and tightness are common causes for swelling. Sometimes swelling is caused by dislocated bones or deformities from the injury. Get medical attention if the pain increases. Emergency care is necessary if the injury causes numbness, color changes, fever, weakness, or coolness. It is important to give your doctor a detailed description of your pain. This can help your physician determine the cause of your pain. X-rays are sometimes used for diagnosing patients who have tenderness or deformities. This can help the physician determine if any bones were broken or dislocated.